BMSI get into the Carnival spirit at Heathrow! BMSI recently attended the Heathrow Charity Ball, and they were sure to make it a night to remember – helping to raise an estimated £60,000! The event, held in support of Heathrow Airport and their affiliated charities, took place at the Terminal Sofitel Hotel last month and was attended by BMSI staff who, as always, showed their support for a worthy cause, and fully immersed themselves in the frivolities of the evening. “BMSI work very closely with Heathrow Airport on a number of projects, including the maintenance of the BMS Systems across Heathrow, and we’re proud to say that we have an extremely good working relationship with the team there. Therefore it was of the utmost importance to us that we showed our support for the event, and helped to raise money for the local causes that Heathrow has pledged to support. 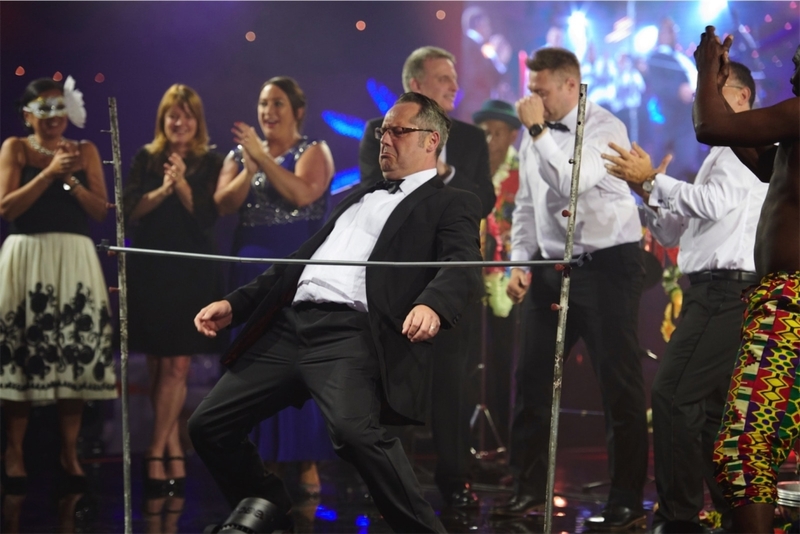 The entertainment was of excellent calibre and it’s safe to say that the team really did make the most of the fun on offer – Heathrow have even, very kindly, displayed the photographic evidence on their website to remind us! BMSI is a leading systems integrator of Building Energy Management Systems (BEMS), and they continue to work closely with Heathrow Airport and their Delivery Integrators on the following projects: BMS Upgrade of Boilers & Chillers, Terminal 3 Pier 5 Asset Replacement, Terminal 4 LV MCC Panel Upgrade, maintenance of the BMS Systems across Heathrow. For more information about the project installations, support services and integrated energy management solutions they provide, visit the rest of the website here. http://www.bmsi.co.uk/wp-content/uploads/2018/05/hcb-2018-6491.jpg 1067 1600 BMSI BMSI http://www.bmsi.co.uk/wp-content/uploads/2015/03/bmsi-Logo.png BMSI BMSI2018-05-22 09:23:212018-05-22 09:23:21BMSI get into the Carnival spirit at Heathrow!